Yesterday was “Tax Day”, the day in which millions of people scramble like decapitated fowl to get their tax forms to their nearest post office. Not coincidentally, various “Tea Party” groups chose “Tax Day” to express their discontent with our Federal government. I’ll leave the haranguing over the demographics to others. 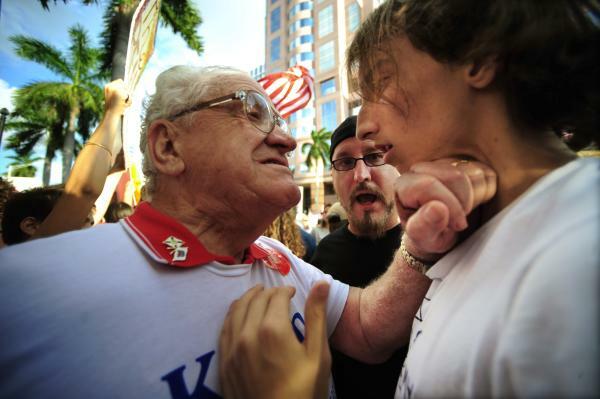 Some may look at this and see an old man (possibly ex-military) telling some young punk that his slipper-wearing generation would have lost WWII, others might see this as an example of the uncivilized confrontations endemic to this kind of event. I’ve got chunks of guys like you in my stool! Here’s the vid, the exchange begins at the 5:27 mark. Even a pro like Phil almost loses it after dropping the line. However that didn’t stop me from recruiting Wayne and Garth to present my Top 10 dishes (below) or previously posting the Top 10 quotes of 2007. A list only a cardiologist and Pfizer Pharmaceuticals could love. In my previous post I intimated that 2009, for me, would be the year of Calvin, this in reference to my stated goal of getting through his Institutes of the Christian Religion. I’m roughly following the reading plan found here. The same folks (Reformation21) also published a post titled, Why read through Calvin’s Institutes in 2009? , in which Pastor Ligon Duncan gives his Top 10 answers to that very question. Because it is the most important book written in the last 500 years. Because it is foundational for every Reformed systematic theology ever since. Because Calvin was the best exegete in the history of Christianity. Because Calvin is one of the five greatest theologians in Christian history. Because he wrote it as a “sum of piety” not as an arid, speculative dogmatic treatise. Because Calvin thought and wrote succintly and clearly. “Brevitas et claritas” was his motto – brief and clear! Because you will know God better, if you read it prayerfully and believingly. Because it’s the 500th anniversary year of Calvin’s birthday. 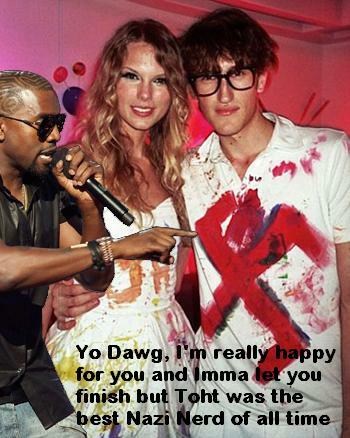 Don’t be a party pooper. Because I agree with what Derek and Iain say in their posts. ABC is set to air the 2008 American Music Awards tomorrow and has been incessantly running promos. Even during Saturday Night Football, the guys in the booth have to read copy promoting this thing. 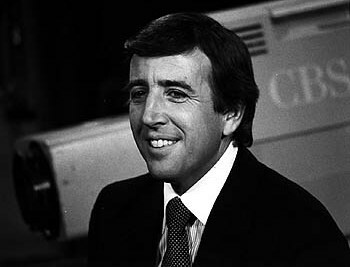 Enter 69-year-old Brent Musburger (below doing a heck of a Frankie Carbone impersonation minus the man-perm). Not only did my wife, myself and millions of other viewers have a good laugh, Musburger’s broadcast partner, Kirk Herbstreit, also had a good laugh but composed himself enough to correct his elder on the correct pronunciation of Beyoncé’s name. Though Herbie was still too much in the bag not to admit before a national TV audience that he had caught Beyoncé’s act in last week’s Saturday Night Live. I’m sure the ABC brass will forgive the golden one for dabbling in NBC programming. As for Musburger, we all know that he’s a big fan of the Big 10 and any team that plays my Texas Longhorns but now we know that he’s not a big Beyoncé guy. Though thanks to sideline reporter Lisa Salter’s racially awkward comment, we might have found out that Musburger digs Kenny Chesney. Oh yeah OU thumped Tech, 65-21. If you watch the vid, take a close look at the guy axing the turkey. One thing is certain, now we know what at least one of Bill Swerski’s Superfans has been up to lately. I like how MSNBC ran this story as “Breaking News”. As if none of these guys aren’t going to have turkey for Thanksgiving. Before embarking on some odyssey of outrage at the fate of this particular turkey, one ought to pause and ponder just how the turkey one is going to consume next week will get the starring role in next week’s spread. It has been said that imitation is the sincerest form of flattery, but I’m not sure the following NOOMA parody is flattering to Rob Bell, the progenitor of the NOOMA series. Well I suppose it depends on who you ask: fans of SNL or haters of SNL. If you have seen a NOOMA, you’ll appreciate the Rob Bellian-nuances the impersonator so aptly pulls off. Frank Caliendo would be proud, you know he’d do a killer Rob. Oil. What does that word mean? I mean, we know it’s a substance but what does the word mean? You know, it makes me think: about hospitality. Now the word “hospitality” comes from the Latin word hospes. And when you think about that word it all comes back to one thing: Oil.